When does the next AU shuttle arrive? What's the difference between the Red Express and Blue Route? What's the Green Route? 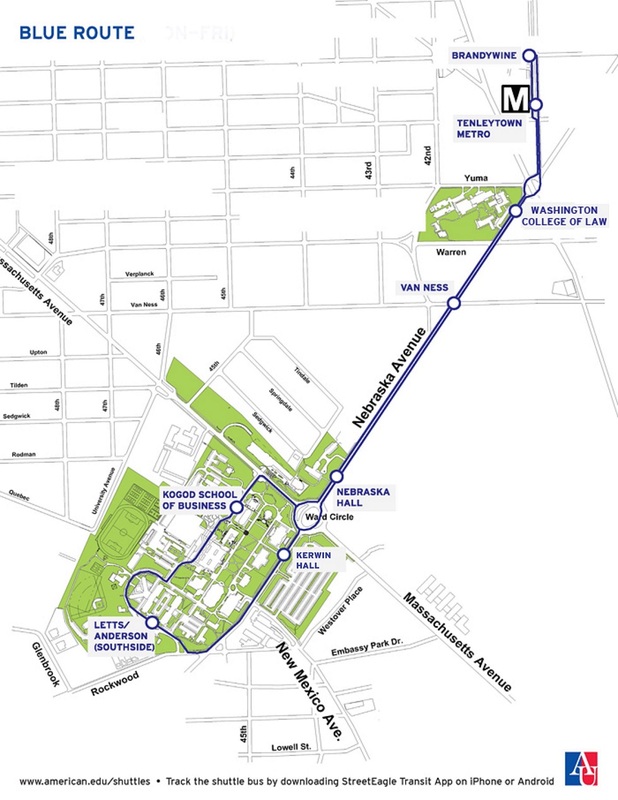 What measures are in place to alleviate overcrowding of the shuttle bus? 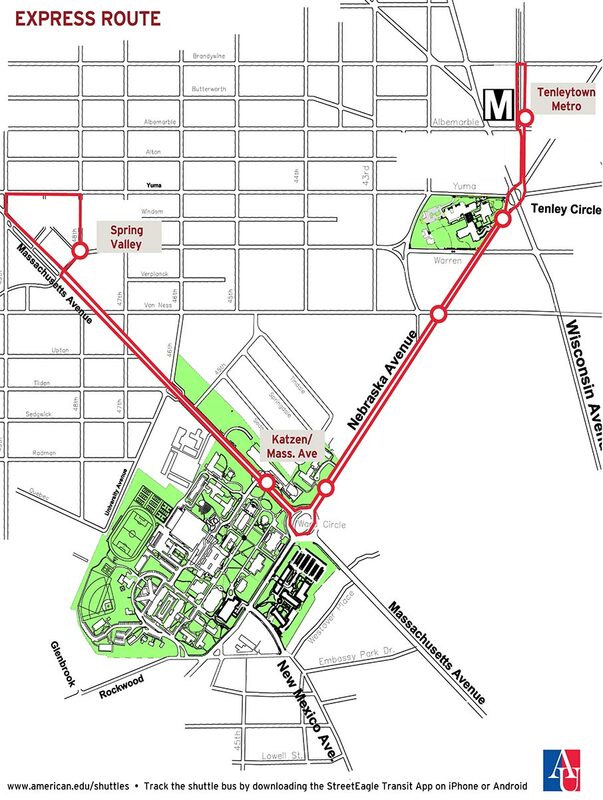 What are the hours of operation for the AU shuttles? 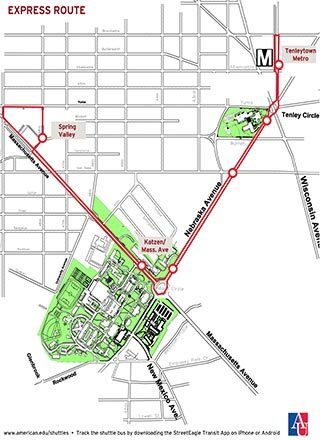 A new Green route is available now and provides transportation to/from Main campus, picking up/dropping off at East Campus, and Spring Valley Building (SVB). 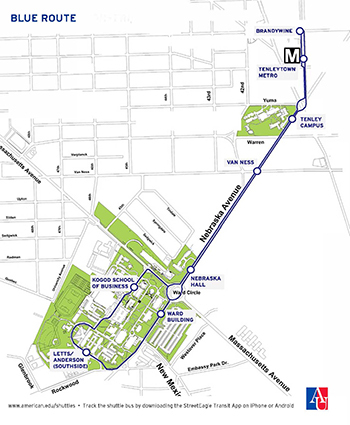 The Green route was developed to supplement the Red Express and matches class start times at the SVB with departure times from Main and East Campuses. See the schedule for details. 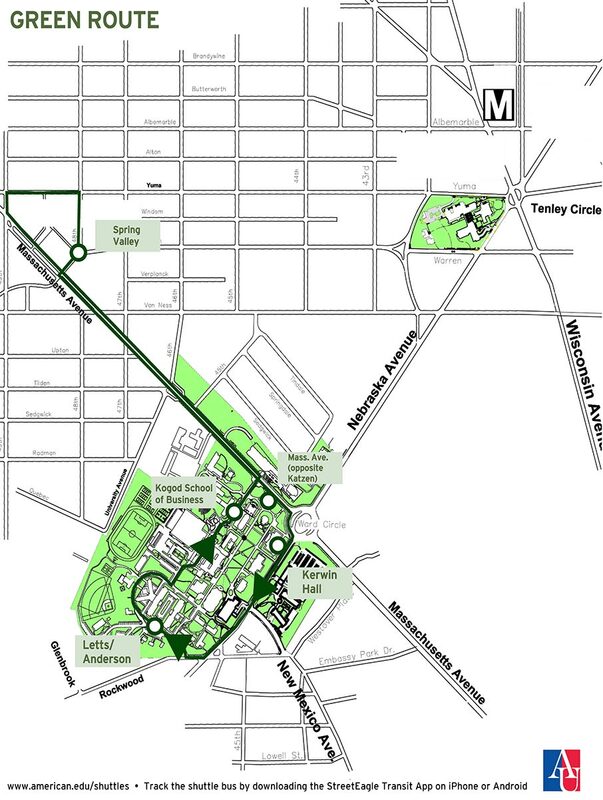 6:10 a.m. - 12 a.m.
8 a.m. - 3:15 a.m.
Main Campus at 6:10 a.m.
Main campus at 12 a.m.
Main Campus at 7:50 a.m.
Main campus at 3 a.m.
Main campus at 11:45 p.m.
7 a.m. - 6:35 p.m.
7 p.m. - 11:15 p.m.
8 p.m. 8:07 p.m. 8:15 p.m.
9:30 p.m. 9:37 p.m. 9:45 p.m.
8:15 p.m. 8:20 p.m. 8:30 p.m.
9:45 p.m. 9:50 p.m. 10 p.m.
11:05 p.m. 11:10 p.m. 11:15 p.m.
7:50 a.m. 7:55 a.m. 8 a.m. 8:05 a.m.
9:30 a.m. 9:32 a.m. 9:35 a.m. 9:40 a.m.
11 a.m. 11:07 a.m. 11:10 a.m. 11:15 a.m.
12:35 p.m. 12:42 p.m. 12:45 p.m. 12:50 p.m.
2:10 p.m. 2:17 p.m. 2:20 p.m. 2:25 p.m.
3:45 p.m. 3:52 p.m. 3:55 p.m. 4 p.m.
5:10 p.m. 5:17 p.m. 5:20 p.m. 5:25 p.m.
6:35 p.m. 6:42 p.m. 6:45 p.m. 6:50 p.m.
8 p.m. 8:07 p.m. 8:10 p.m. 8:15 p.m.
9:25 p.m. 9:32 p.m. 9:35 p.m. 9:40 p.m.